Children’s horror is a fairly overlooked genre, which is surprising, considering that we are definitely in the age of the young adult novel. YA books are being consumed by all audiences from just about every age group. Which is perfectly reasonable, that’s the way it should be. No form of art should necessarily be exclusive, even if there is an intended target audience. Like Disney and Pixar films, children’s horror movies can be a great time for everybody if they’re done right. The titles we’ll be looking at here are certainly examples of this. These features can be charming, funny, even downright scary. They can appeal to adult fears and awaken the child inside all at the same time. That’s the lasting strength of children’s horror pictures. You can see them when you’re young, and unlike many other films, when you revisit them years later the appeal is still there. Neil Gaiman’s Coraline is an excellent children’s horror story and one of the author’s absolute best. The film adaptation by Henry Selick—who directed both The Nightmare Before Christmas and James and the Giant Peach—is as faithful to the source material as a movie could possibly be. It’s about a young girl with a painfully ordinary life that finds another world through a hole in her wall. This Other World is an exact copy of hers, only better. Other Mother cooks food she actually likes and pays more attention to her. But of course, there’s a heavy darkness to it and the illusion can’t last forever. Coraline comes to gain a better understanding of both herself and her relationship with her family, and in the middle of all that there are some fairly nightmarish sequences. 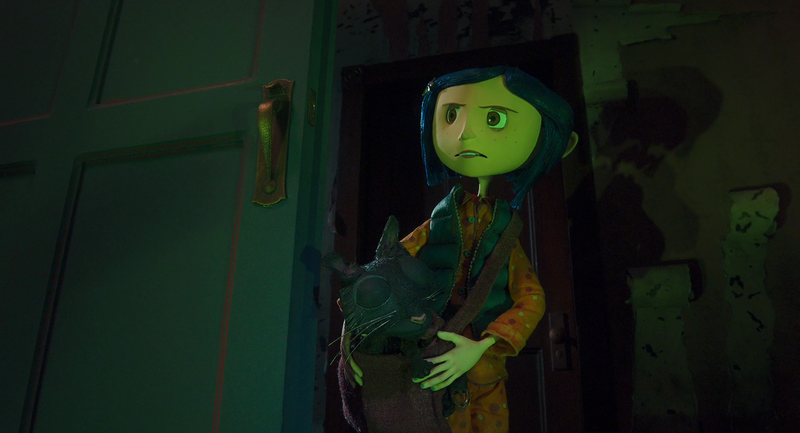 Coraline is probably one of the last great stop-motion horror movies. Here’s hoping they’ll take off again in the near future. Based on the novel by Ray Bradbury, Something Wicked This Way Comes is the ultimate circus horror story. Bradbury was also the screenwriter of the 1983 Disney adaptation, and considered it one of the best adaptations of his work. The plot sees a carnival led by Mr. Dark arrive in a picturesque small American town. Dark seemingly has the ability to grant wishes and make everyone’s secret desires become a reality. But everything has its cost, of course. It’s very much a story about growing up, and the sense of melancholy that accompanies that transition. There are children who wish they were much older so that they could get away with the things adults get away with, and then there are old men like Charles Halloway, who just wants to reclaim his lost youth. 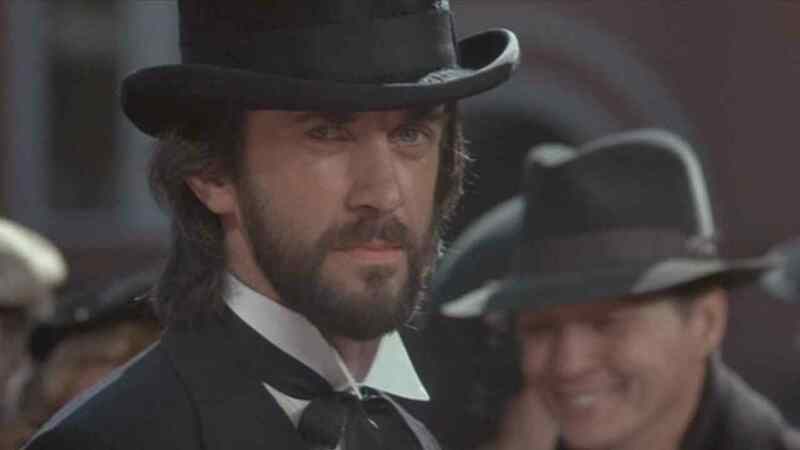 Jonathan Pryce is sinister and very charming as Mr. Dark. People tend to forget that Roald Dahl was every bit as much of a horror author as he was a children’s author. He wrote numerous ghost stories and short horror fiction when he wasn’t writing children’s books like Matilda and Charlie and the Chocolate Factory. While there’s an element of horror to everything he does, The Witches is the perfect blending of both genres. It’s as scary as it is whimsical. While it’s certainly well made, the entire movie is really carried by Anjelica Huston’s powerhouse, deeply unnerving performance as Miss Evangeline Ernst, aka The Grand High Witch. There’s also some really neat makeup FX on display to boot. Again, Henry Selick makes the list, although Tim Burton gets most of the credit for this one. While he created it, wrote the story and conceived all of the characters, Burton didn’t direct it. He was contractually obliged to come back for Batman Returns, but Selick does a great job with the material. The Nightmare Before Christmas is a truly beautiful film. It almost feels like a live action production with strangely proportioned actors. There’s so much attention to detail from the cinematography to the animation of the characters themselves. They all feel real and lived-in, each with their own movements and different personalities. 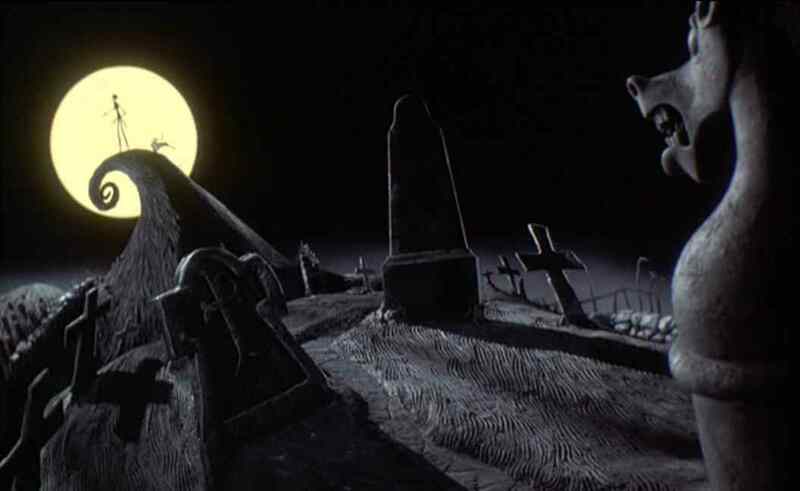 On top of that, you have a perfectly sentimental story to balance the gothic imagery and great songs by Danny Elfman. It may have been an animated television production that doesn’t hold a candle to the book it’s adapting, but it perfectly captures the heart of the material. It’s a spooky, wonderfully colored cartoon drenched in Halloween atmosphere. It reminds us of everything that makes the holiday great and at the same time is actually educational, going back to explore the origins of Halloween from the earliest onset and chronicling its evolution throughout history. The relationship between the boys is terrific. Like many Ray Bradbury stories, this is drenched in childhood nostalgia, but I think something about a holiday like Halloween really needs that. The nostalgia is a key factor here, in superb animated feature that should play on a yearly rotation like The Grinch and Rudolph the Red-Nosed Reindeer.